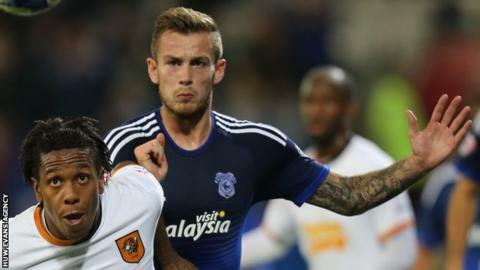 Joe Ralls has signed a contract extension that will keep him at Cardiff City until 2020. The midfielder has made 67 Bluebirds appearances since joining them as an apprentice in 2010 from Farnborough Town. Ralls has made 16 appearances this season. "I've been part of things this season quite prominently and I felt that this was where I wanted to stay," said the 22-year-old. "Hopefully we can continue to progress this season and on the back of what we've already done, I feel we can be successful." Cardiff City chief executive Ken Choo said: "It's no secret that Joe is one of our finest young talents and somebody who we wanted to ensure remained a Cardiff City player for the foreseeable future." Manager Russell Slade takes his side to Derby County in the Championship on Saturday lying one place outside the play-offs zone.